Back up your track. Once you bounce the MIDI tracks, you won’t be able to change any of the notes or other MIDI data. Remove any effects from the MIDI channels in the track. Each MIDI track should only have the synth on it. 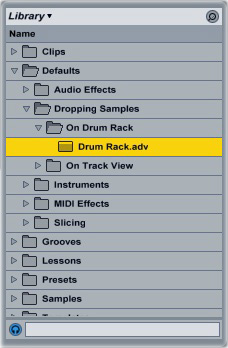 If you want to keep the effects’ parameter settings, move the plug-ins to an empty track instead of deleting them. Bounce all of the MIDI tracks to audio. In Ableton, right-click a track and select “Freeze,” then right-click it again and select “Flatten.” Your DAW will convert the MIDI track to an audio waveform, which requires much less processing power. Re-add the effects to their former tracks. Your CPU now only needs to deal with the FX, not the synths and effects together. If one of your synths is especially processor-intensive (Spectrasonics Omnisphere, for example), try bouncing that track to audio first — you might not need to convert the rest of the tracks. SupaTrigga’s one of my favourite little free VST effects. It automatically cuts an audio input into slices and rearranges them randomly in real time. You can configure the length of the slices (8 and 16 are the most usable settings, but it can go up to 128 slices per measure). Download SupaTrigga for free from here. Set the “Rearrange Prob” slider first; this controls how many slices in each measure SupaTrigga alters. With all the other sliders set to zero, the plug-in will only reorder the slices; add more effects by increasing the “Reverse,” “Slow,” “Repeat” and “Silence” sliders. One effective way to use SupaTrigga is to separate the drum part into two tracks: one containing only the kick and snare, and one with everything else. Put SupaTrigga on the track with everything else, then set it to rearrange the beat. This way, the backbone of the drums (i. e. the kick and snare) stays constant, while everything else goes crazy.